I should be pulling out my next UFO (The Puffed Wheat Afghan) and starting on the little squares…. I should be writing my blog post and catching up on blogs…. I should be making orange marmalade with the 5 kilos of oranges that were given to me a week ago….. I should be doing house work….. Instead I have been sucked into a GREAT BIG VORTEX called Freeform! To be fair it is one of my 2016 projects, but at the expense of everything else? LOL! I made the error of checking of the IFFF group and saw that during September and October they were running a ffal on the theme of leaves and turning a new leaf. That night I had a dream that became my musing for the Ffal. She walked into the woods shuffling the autumn leaves as she trudged on, a wind blew up and more leaves fell around her. She did not notice their vibrant colours, her head down, she thought her life was dead and rusted as the leaves. The path ran alongside a small stream, she noticed a yellow gold leaf floating at the edge, she picked it up, it was beautiful, its shape different from the others, I wonder where it came from she mused, she turned it over, it was lime green! What, how? She muttered, then she noticed that the light was different, lighter and a sweet scent pervaded the air. Lifting her head she looked at the other side of the stream, there were blue skies, birds singing, flowers nodding in a gentle breeze, the trees were alive with green leaves. Astonished she turned the leaf over, suddenly, it was dark, dank and a chill passed over her. She looked behind back down the path she had walked. In the distance she could see a golden glow, beautiful, but so far away, her past glories? Turning the leaf over the spring like scene appeared again , she wanted to so much be part of it but the stream separated her from it. Maybe she could jump the stream? It was rather wide. Indecision stalled her. A Bellbird sang its song to her, calling her, "Come life is for living!" She took a deep breath and ran to the edge and leapt into her new life. Would you say I am addicted to freeform!?! Yep! I have to say I love the “join as you go” that Polly Plum suggests it is so neat looking, and so easy to do. The link on how to do it is here. On the front of Marmalade making I have started on making some covers for the jars that I am giving away. In real life it is more orange and I think I will use raffia to tie them on the jars, hopefully by next week I will have made the marmalade! Also next week I will show you a picture of the finished Moon Tiles. 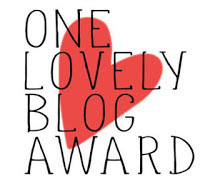 I still haven’t written the blog post for the award that Anna of Annas Simple crochet gave me. So I will do it quickly here. 2 I am reading David Balducci’s Total Control at the moment. 3 My favourite season is Spring, everything is so fresh and vivid. 4 I am a hopeless romantic. If we didn’t have to worry about protein I could just live on vegetables and fruit. I I hate strong winds. I I love elderly people, they have so much knowledge, and it is fascinating to hear them talk of the old days. Also their sense of humour often astounds me. Well that’s it today; I now can cross blog writing off my list for a week, so on to finishing the Afghan joining, then I will let myself do some more of my ffal panels! See you again next week or on my rounds. Hahaha! Welcome to my world, lol, as a self-confessed freeform addict, I absolutely recognize another freeform addict when I see one, hahaha. There is no hope for us but to carry on regardless. Loving the musings and progress on your FFAL. The New Leaf challenge opens up a whole host of possibilities and new adventures. Your colours, texture and leaf elements are hellacious. Love the colours of you Lotus Moon afghan. Thank you Cyra, I have succumbed big time. lol. Oh, thank you for the link. I almost asked, but didn't want to bother you. lol. Going now to check it out! The freeform craze has really caught on. I tried it about 20 years ago and never could get the hang of it. I will just sit here and admire your art. Your jar covers are precious. They will look great with the rafia for tieing them. That's great you are enjoying freeform so much. It's looking great! Really love the lotus moon tiles. I'm pleased to know you a little more ! Have fun this week ! I had to read your blog entry twice today. True story. I loved it that much. What fun you are having -- and thank you for taking me along. Wow you are a busy beaver and this free form is so fun! What a great idea... you have so much on the go. The marmalade toppers are awesome!! Enjoy your much loved freedom...it suits you well!! Your free form pieces are as beautiful as the rest!! Amei a toalhinha e o colorido das flores. I like your free form a lot. I haven't tried it and I don't think I would be able to do one. All your projects look wonderful and I pinned many pictures. :-) I'm glad to have found you through Anna's blog and now follow you on Bloglovin.